It is summer now. 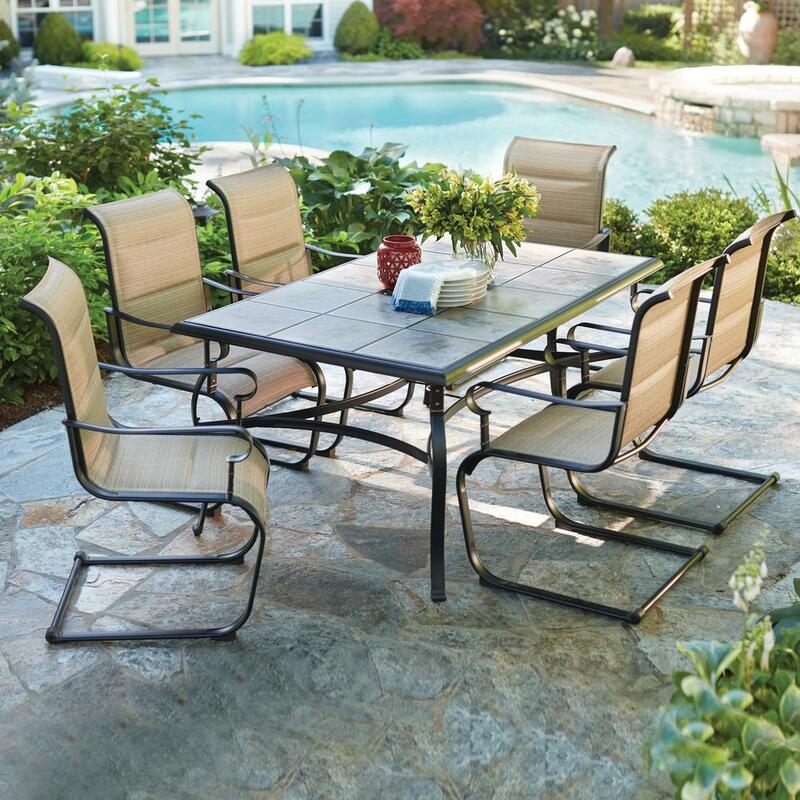 For people looking for an inexpensive patio set to enjoy the outdoor and relax, this Collins Complete 6 Piece Patio Set might be a good choice. Right now it is on sale for just $159.97 (reg. $280). This patio set is well worth the money. See people's reviews below. -Could pack away the chairs when we not using them or it is raining. The umbrella is bit small I think, but it does the job. -For anyone who has a smallish deck, this patio set is perfect and not too many parts to put together. -A terrific bargain, a simple assembly, and a durable product. 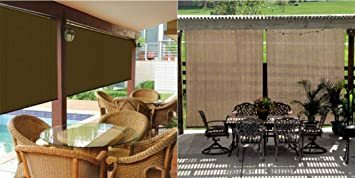 -Good quality for the price, nice style and good color, easy to install and looks good in the backyard. -Sturdy and comfortable and looks really cute, perfect for a small backyard if you live in an apartment. The Outland Fire bowl Mega is the perfect center piece for your outdoor living experience – is CSA approved and uses a standard 20lb. propane tank (not included). The fire bowl burns clean and smokeless – giving off enough heat to keep your whole family warm and cozy. Package includes fire bowl, weather-resistant cover, 10′ propane tank hose, propane tank stabilizer ring and decorative lava rock set. While supplies last, The Home Depot is offering this highly rated Adams Manufacturing Quik-Fold White 3-Piece Patio Cafe Set in White for only $69.83 shipped. 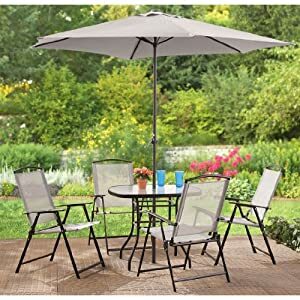 This foldable outdoor set is sturdy yet lightweight and iincludes a table with an umbrella hole and 2 chairs. Walmart.com now you can buy this Keter Corfu Resin Love Seat with Cushions, All Weather Plastic Patio Furniture, in Charcoal Gray Rattan for just $119 (regularly $159) – choose from black OR brown! Plus, shipping is completely FREE, which is awesome since this is a larger item! Amazon now you can buy this #1 Best Seller Keter All-Weather Outdoor Patio Love Seat with Cushions for just $86.09 shipped (regularly $199.99)! This love seat features a UV-resistant resin and an open-woven texture that will not fray, fade, rust, or rot. 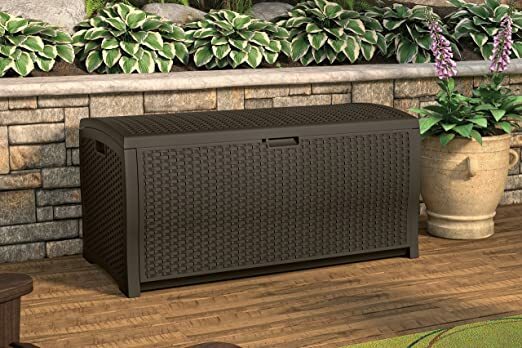 Amazon.com now this highly rated Suncast Wicker Resin 99-Gallon Deck Box price cut for just $79 shipped (regularly $111+). 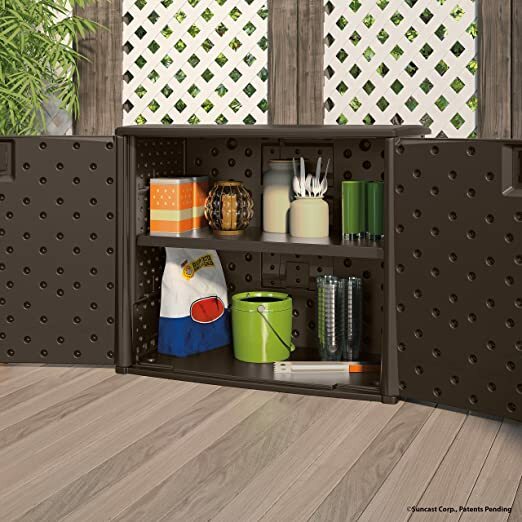 This deck box is great for stashing seat cushions, grilling equipment, firewood, lawn supplies, swimming pool accessories or other valuables as it keeps the contents dry even after rainfall and snowfall. Walmart.com now you can get this Mainstays Stanton Cushioned 4-Piece Patio Conversation Set for only $159 shipped (regularly $269). This set includes two chairs, a loveseat with cushions and a table. The cushions feature an easy on and off clip and are made of 100% outdoor printed fabric so they are durable and provide comfortable seating. 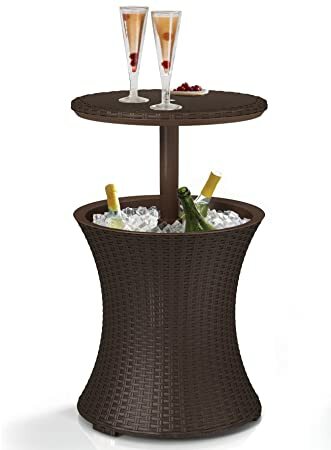 Amazon.com now you can buy this best-selling Keter 7.5-Gallon Outdoor Patio Pool Cooler & Table for just $64.92 shipped. Walmart.com now you can get this Better Homes and Gardens Welcome Garden Bench, Only $44.36 shipped (regularly $73.59). 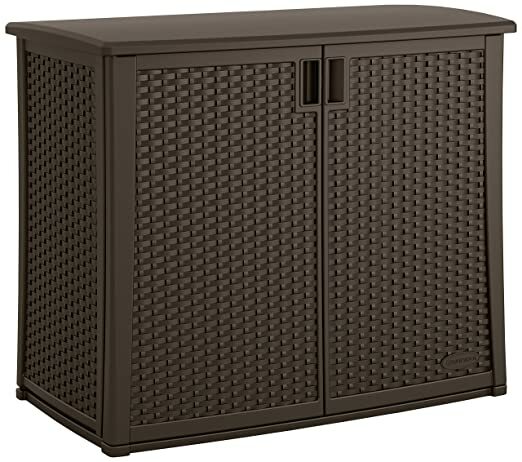 Amazon.com now you can get this Keter 55 Gallon Outdoor Rattan Style Storage Cube/Patio Table for only $49.98 shipped (regularly $77.99). 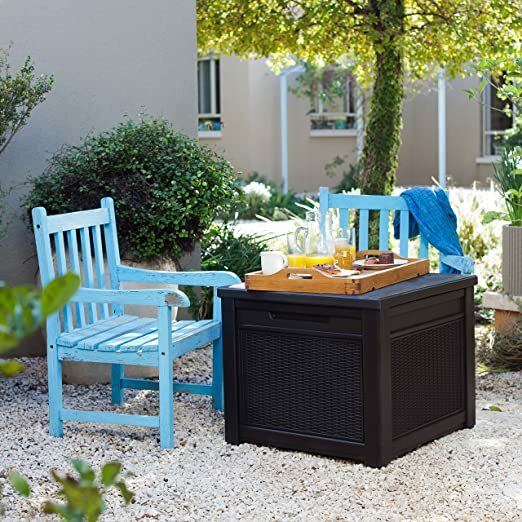 This storage cube functions as a side table, patio table or even a bench seat. It features a natural weave rattan texture and is great for storing chair cushions, pool towels, grill supplies and more! 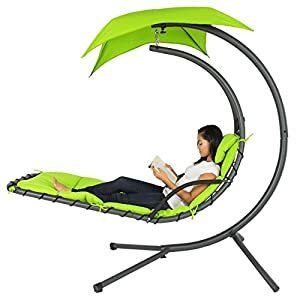 Amazon now you can get this popular Hanging Chaise Lounger Chair in green for just $149.95 shipped (regularly $399.99)! 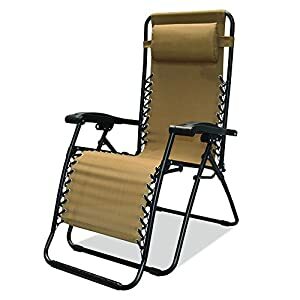 These are made of heavy duty powder coated metal, this chair can support up to 265 lbs, and comes with built-in 46” canopy and a cushion with built-in pillow for extra comfort. 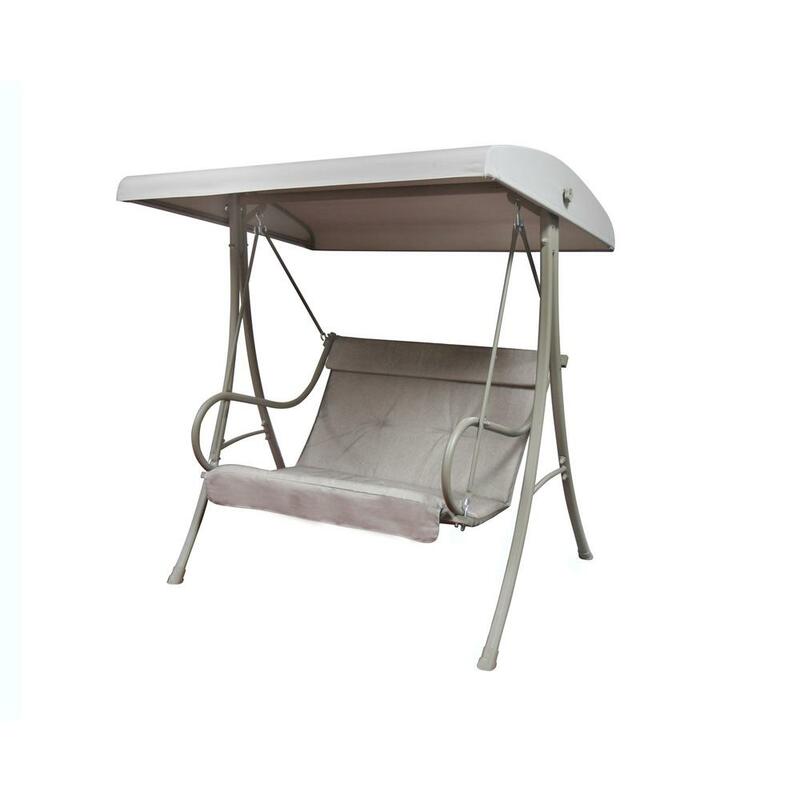 Walmart.com now you can get this highly rated Better Homes and Garden Azalea Ridge 2-Person Outdoor Swing for just $85.95 shipped (regularly $221). This cushioned outdoor wicker patio swing holds 2 people up to 450 pounds AND the cushion is treated for UV protection to help prevent fading. Walmart.com now you can get this Better Homes and Gardens 26″ Square Fire Pit with Copper Finish Bowl for just $35.08 shipped (regularly $79.87)! This outdoor fire pit features a copper wood burning bowl and metal bowl cover. Walmart.com now you can get this Suncast 31-Gallon Patio Seat for only $29.41 (regularly $62.99). Choose free in-store pick up. This seat is made of molded resin and is weather resistant to rain, sun and extreme temperatures. 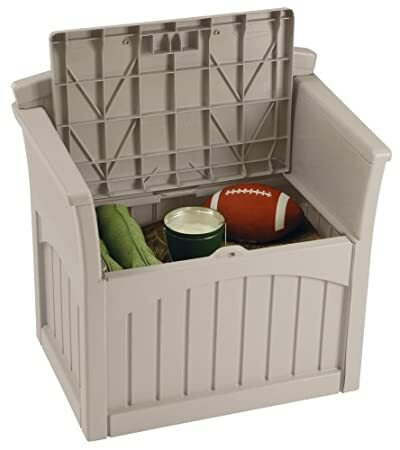 It has 31-gallons of concealed storage space for chair cushions, garden supplies, toys and more! And it can accommodate one adult or two children with a total weight limit of 250 pounds. Amazon.com now get this Keter Rio 3-Piece Conversation Set for just $65.64 shipped (regularly $99)! 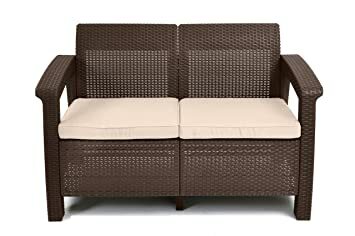 This Rio set includes two chairs and a small table with a rattan finish. The easy-to-assemble set is lightweight and is rust-and-weatherproof. Walmart.com now you can get this Better Homes & Garden 26″ Copper Finish Wood-Burning Firebowl for just $38.43 shipped (regularly $87.49)! This outdoor fire bowl has a removable top so it’s easy to add more wood to the fire with the included fire iron. Amazon.com now get this Suncast Elements Outdoor 40″ Wide Cabinet for just $95.61 shipped – best price! This cabinet is constructed from durable and all-weather resin so it is rust, rot and dent proof! With a 97 gallon capacity, it is large enough to accommodate lawn and garden tools, grill accessories, and many other outdoor storage needs. Plus, the included adjustable shelf also increases storage capacity and helps keep your cabinet organized! Walmart.com now you can get this Brushed Metal 4 Foot Park Bench with Ornamental Back for just $35.97 shipped (regularly $68.98)! This garden bench is weather-resistant and can hold up to 500 pounds. Walmart.com now you can get this Axxonn 32″ Alhambra Fire Pit with Cover for only $33.37 (regularly $85.63). Free in store pickup. This 32″ Fire Pit features a contemporary design that offers 360 degree viewing of the fire. The spark screen keeps the embers contained while the cover helps to keep the outside elements from getting into the pit when not in use. Use this fire pit to roast marshmallows and make your own S’mores at home! Walmart.com now you can get this Better Homes and Gardens Clayton Court Outdoor Glider for only $99.99 shipped (regularly $219). This 2-Person Glider is perfect for your porch, deck or patio and includes a red mildew and stain resistant cushion for added comfort. 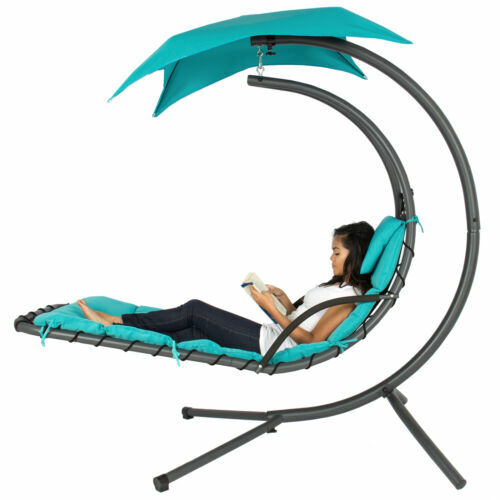 Best Choice Products eBay Store where you can buy this Best Choice Products Hanging Chaise Lounger Chair in teal for just $129.99 shipped (regularly $399.99)! 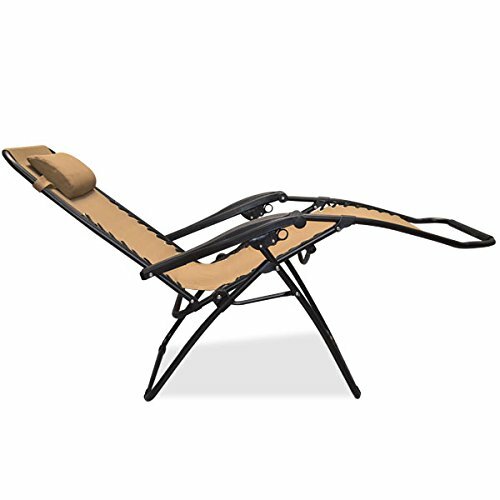 This hanging chaise lounger features a powder-coated metal frame, removable 46″ canopy, and 2″ foam-filled water-resistant and PVC-coated cushions. This fire pit is easy to assemble and includes hardware, a spark guard mesh lid with lid lift and an all-weather cover! 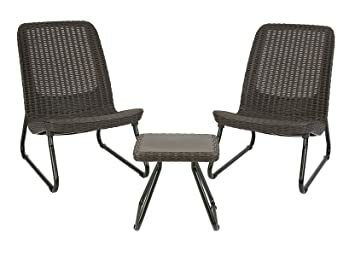 On Walmart.com you can now buy this Mainstays Belden Park 3-Piece Outdoor Bistro Set for just $167 shipped! Note that you might be able to save even more if you select for the one of the “Pickup Discount eligible” colors and choose in store pick-up. While supplies last, Walmart.com now you can get this highly rated Mainstays Albany Lane 6-Piece Folding Dining Set (available in red or blue) for ONLY $79 shipped (regularly $124). Includes table, four chairs and an umbrella. 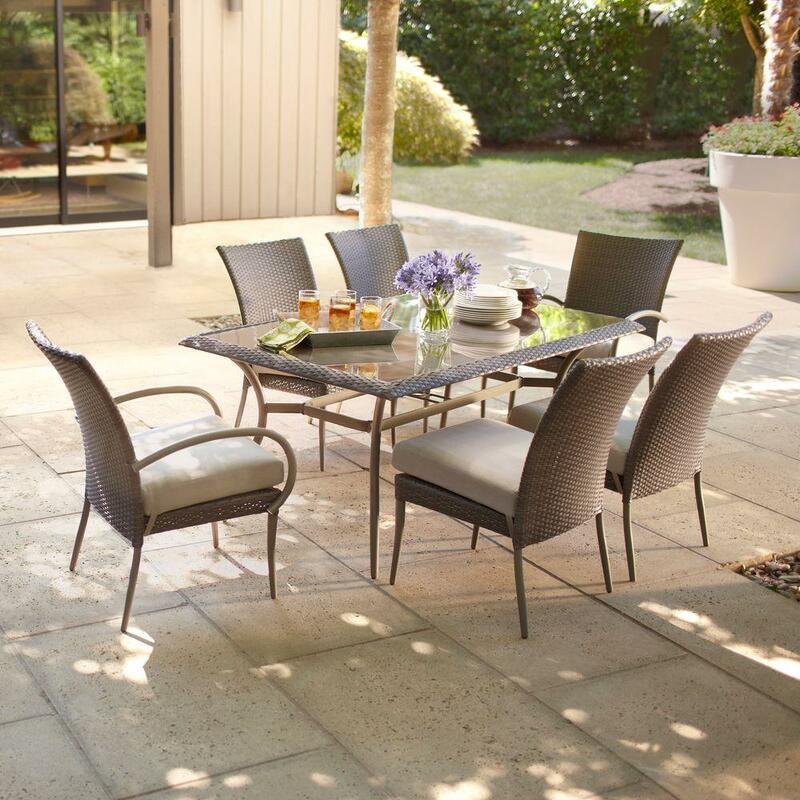 This patio table features a waterwave tempered glass tabletop for safety and durability with a pre-cut umbrella hole and the portable sling folding chairs have a powder-coated finish and sturdy steel construction. On Sears.com you can now buy this Garden Oasis Harrison 7 Piece Dining Set for just $299.99 (regularly $599.99)! Get free in-store pickup. 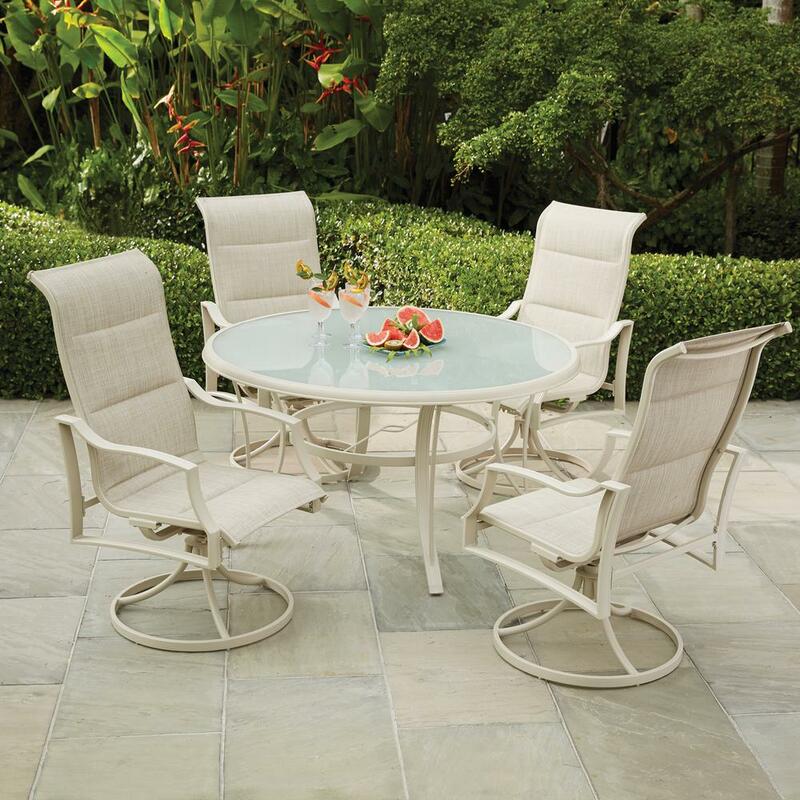 This patio dining set includes 4 stationary chairs, 2 swivel chairs and a tempered glass table. On Walmart.com you can now buy this Mainstays Albany Lane 6-piece Folding Dining Set for just $79 shipped (regularly $124). This outdoor dining set comes in blue, red or tan and includes a table, umbrella and four chairs. On Walmart.com you can get this Mainstays Sandhill 7-Piece Outdoor Sofa Sectional Set for only $389 shipped (regularly $596). This set comes in 2 colors and features 2 ottomans that can convert into tables by removing the cushions. There are 2 cushioned chairs and a cushioned loved seat set in a L-style to comfortably seat five guests. On Walmart.com you can now buy this Mainstays Alexandra Square 3-piece Bistro Set 三件套的花园座椅， for just $88 shipped (regularly $129)! This bistro set includes a table and two chairs! The chairs have a faux wicker woven sling back and are made out of a durable steel frame. The cushions are reversible and can easily be removed. Through June 12th, Target.com is offering an additional 15% off select furniture and outdoor living items that are already on sale when you use promo code DADS at checkout. Southport 3-Piece Wicker Chat Set $237.99 (regularly $279.99), Use code DADS (15% off), Final cost only $202.29 shipped! For a limited time, on HomeDepot.com you can buy this highly rated Belleville 7 Piece Padded Sling Patio Set is on sale for $299.40 delivered (regularly $499)! This outdoor dining set includes a 39.5″ x 64″ table and 6 weather-resistant, padded sling motion chairs with bronze powder-coated frames. The table features a durable and heavy-duty ceramic tile tabletop that is easy to clean. On Walmart.com where you can now buy this Better Homes and Gardens Lynnhaven Park 3 Piece Outdoor Chat Set for only $159 shipped (regularly $299.99)! Go to Walmart.com and shop their Summer Clearance Sale where you’ll find BIG savings on select outdoor patio furniture, grills and more. On Walmart.com now you can shop their Summer Clearance Sale where you’ll find BIG savings on select outdoor planters, patio furniture, grills and more.